Coworking spaces are primarily shared workspaces. They provide affordable office space for people who are avoiding the isolation of a coffee shop or home office. These shared workspaces provide various office-like amenities like hot-desks (access to any open seat in common area), kitchens, conference rooms, coffee, Wi-Fi, and more. Usually, they also offer a community. Occupants are generally entrepreneurs, small teams, startups, and freelancers who require a flexible workspace. These spaces typically comprise an open office with several workstations, conference rooms, and individual offices with necessary office equipment and furniture. You incur a monthly, weekly, or daily cost based on the number of workstations, conference rooms, and private offices you use. While numerous amenities are free, some may include a price such as TVs, projectors, mailboxes, printing, and others. Prices change depending on the city you are based, and whether you require a contract or not. Shared desks in an open office can cost you an average of $500 per month while a lockable office can cost you $1500 per month. Based on a recent study from the Global Coworking Unconference Conference, the number of individuals choosing coworking spaces is rising by over 24% each year. If you are looking for your own space, we’ve listed some of the top coworking spaces. Startups are generally in a constant state of growth. Therefore, the number of employees will keep increasing, and it can be hectic and costly to keep reorganizing a traditional office to fit in new staff. Coworking spaces lack this problem, and the private office option has customization possibilities. Whether you are 1, 5 or 50, a reasonable design can be personalized for your team to maintain efficiency. 76% of coworking members plan to remain, users of coworking spaces in 2018. Shared workspaces offer various educational opportunities like panel discussions, hands-on programming for tech startups, workshops, and more. These fantastic opportunities to learn, assist the founders of startups to solve industry problems, create the ideal press release, acquire new funding rounds, and more. Some educational events that can benefit you include how to create a financial plan, how to create a successful customer experience, content strategy for startups, email strategies to generate ROI, and more. Working in a coworking space can benefit your access to key partners who can aid in the growth of your business. Getting yourself in an area that is filled with numerous startups and entrepreneurs will get the attention of VCs and angel investors searching for new opportunities. Additionally, some coworking spaces act as incubators that link their members to corporate partnerships. In spite of the hesitancy of many businesses to accept corporate investments, getting the right investor can be a big boost for your startup. Many large corporations are searching for means to get into fresh markets that are relevant. If your idea is unique, you can gain the knowledge of scaling from a corporate investor. Operating a startup can sometimes be a lonely process. It doesn’t matter the growth phase you are in; you will always find new things to do, learn, and evaluate. Having other startup founders and freelancers around you can aid in taking the edge off when things are tough, mainly if they are in a similar industry. Many coworking spaces host multiple events for networking, learning from others, and discussing business opportunities. These events are in the form of guest speaker events, educational workshops, happy hours, and more. Placing yourself in an environment where meeting other entrepreneurs are inevitable can be an asset for you. Working alongside individuals on the same path as you can aid in the growth of your startup. Shared offices offer excellent flexibility. You can use flexible plan options where you don’t have to pay for year-long leases. Private office, private desks, and hot seat memberships are provided on a monthly basis. Additionally, you can increase the size of your team and provide additional space for them. Changing to a private office can be quick and easy. You can also switch to a hot seat membership in case you are not available to have a private desk. A hot seat membership is an affordable alternative to a permanent workspace. You’ll have access to all or any collaborative areas. This may include a desk or a comfortable chair in the workspace. 84% of people are more motivated and engaged when using coworking spaces. 89% reported being happier who cowork. One of the most critical advantages of coworking is low costs in comparison to traditional offices. Providers of coworking spaces usually get excellent deals from managers of the properties, and they then redesign the building to accommodate the members. Most spaces do not require deposits, upfront fees, and various option plans. It’s a great way to keep their costs down through operating on these spaces. After leasing a private space, you just can’t show up for work. In a majority of the cases, you require purchasing furniture, connecting internet, arranging the workspace, and getting a phone and so much more. In addition to the initial set up, there is a need for keeping up with maintenance. In case of losing your wireless internet, your team will spend lots of time being unproductive. It will be hectic to troubleshoot, time-consuming, and costly to hire an internet technician. But with coworking, everything will be handled by someone else. You will not get involved with any operational and administrative tasks. 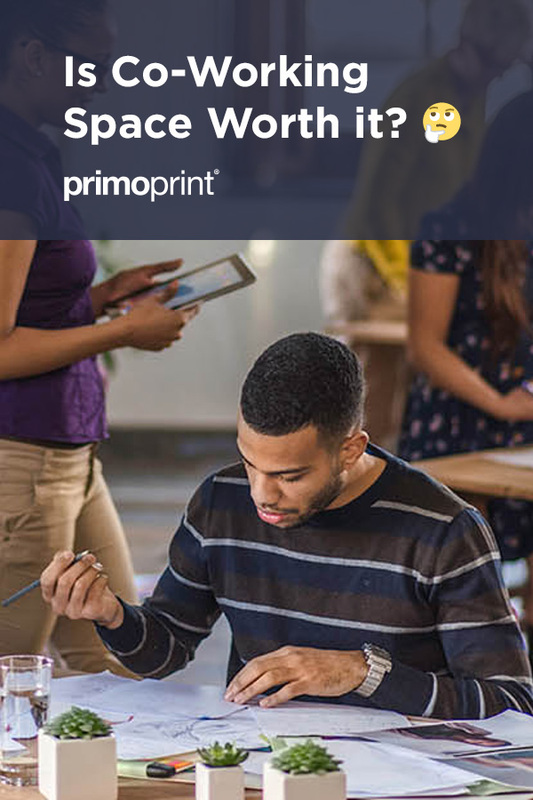 Some of the best coworking spaces provide meeting rooms, onsite support, full kitchenettes, free scanning and printing, privacy nooks, mail distribution, complimentary beverages, and high-speed internet. As an aspiring entrepreneur, you have a lot of responsibilities including initial sales calls, creating a sales presentation for potential investors, discussing product roadmap with your team, and more. You don’t have sufficient time for socializing and distractions. While you might want to have a peace of mind, others might not. But you can avoid the distractions by taking the private option. However, since noise travels, you might face a few distractions when you need to interact with others. You might be preparing your meal in the kitchen, strolling to the bathroom, or receive a fellow startup founder or freelancer in your private office, and engage in exciting conversations that distract you from your work. While it may be hard to separate work from socializing due to less structure in shared offices, discipline and a private office option can offer you the privacy you need. But, the little socializing you might engage in can be beneficial to you and your business. A significant advantage of leasing an office is branding it. You can customize the walls, lighting, and furniture to suit your preferences. Shared offices vary widely when it comes to décor. Overall, the more expensive, the higher the likelihood of getting an environment that is aesthetically pleasing. However, a well-decorated workspace does not represent you. 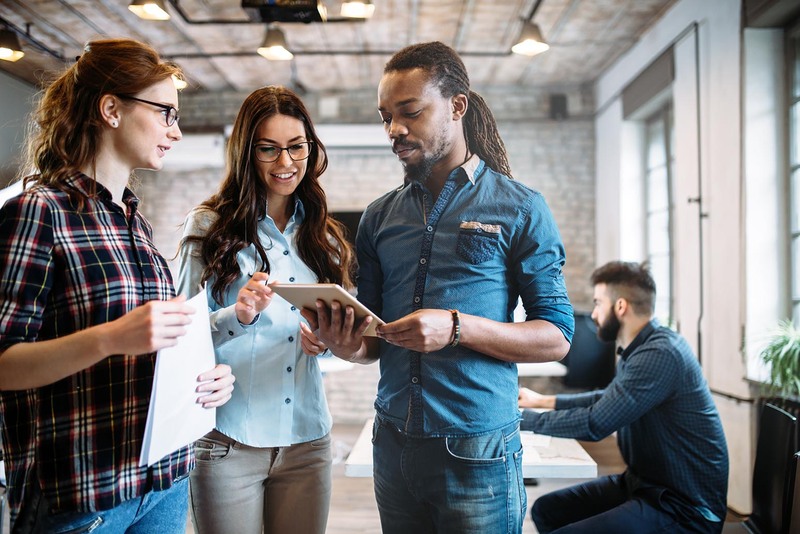 But since you are just starting, you may not be able to afford a traditional office, coworking spaces have many benefits that are worthwhile. How they are becoming an Alternative to Traditional Offices? If you are a large corporation, with hundreds of workers, it might be inconvenient to go for a shared workspace. A traditional office might be more suitable due to the size of the company and the number of departments. Additionally, you might want to decorate your office with the company’s brand. However, shared workspaces are ideal alternatives for startups and aspiring entrepreneurs as well as freelancers who do not need an office unless they are meeting a client. Shared offices are customized to meet the needs of this group of the market, offering a costly and convenient alternative to traditional offices. There was a time when startups used to work in a garage at home. But even now, starting entrepreneurs and freelancers prefer to work from home since purchasing a permanent office can be costly. However, with shared working spaces, they get an official address that they can use and add to their websites and business cards for their clients. An official address creates trust between the freelancer and a potential client. Additionally, meeting in a formal address as opposed to a coffee shop is more appealing and professional to a potential client. It not only builds trust but also confidence in your business, making the potential customer into a permanent client. If you still prefer to work from home, the coworking spaces can still be beneficial as you can use them for meetings, networking events, and services like Mailbox.